Blondie Brownies is a very popular recipe. 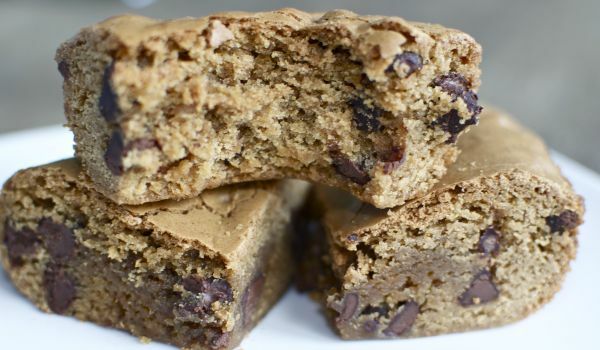 Learn how to make/prepare Blondie Brownies by following this easy recipe. Grease and flour a 8x8 inch pan. Heat shortening, brown sugar, and milk in a pot on low heat until well-blended, stirring occasionally. Sift flour, baking powder, and salt in a bowl and gradually add to the milk mixture. Stir in vanilla and walnuts. Remove from heat. Pour the mixture in the prepared pan and bake for 20-25 minutes, until a wooden toothpick inserted comes out clean. Remove and cool to room temperature. Cut into pieces. Serve and enjoy.